These products are my day in day out staples. I start by priming my face with the Charlotte Tilbury Wonder Glow this adds a touch of hydration and leaves my skin feeling freshly moisturised ready for foundation. 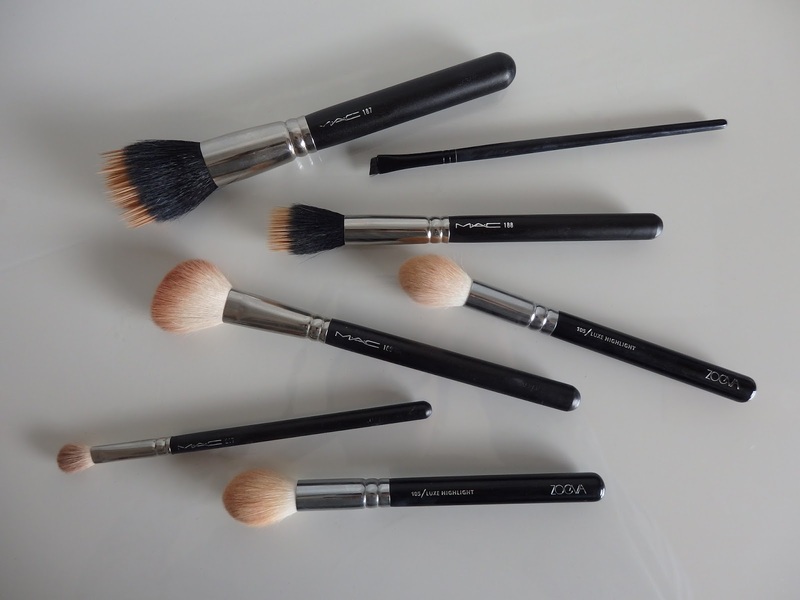 My current foundation obsession is the MAC pro long wear nourishing waterproof (what a name!) in NC20, I am nearly out of this and will be dashing for my second tube shortly, I blend this in with a beauty blender or MAC 187. Concealer is then applied to areas of concern, currently my chin and under the eyes my choice is always MAC Pro long wear concealer (NC15) using the MAC 188 I am playing around with the Charlotte Tilbury eye wand but the MAC just does the job. 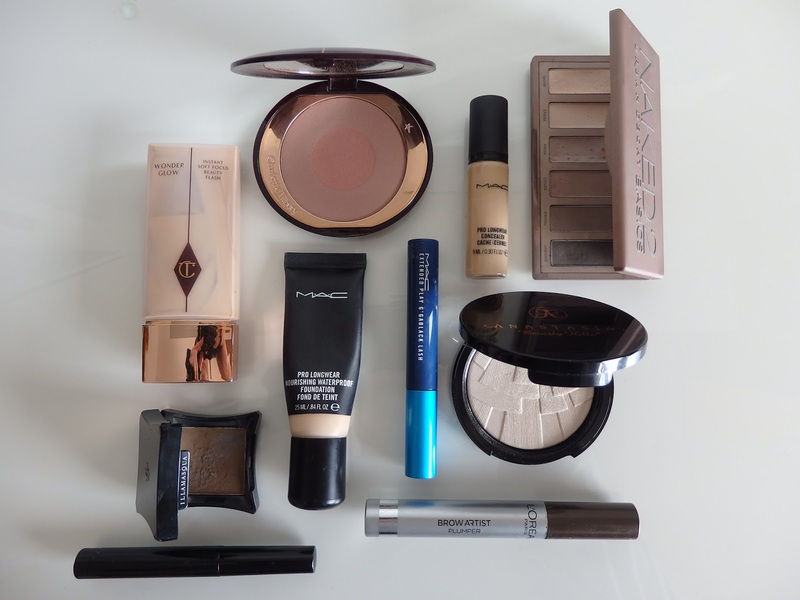 I then set the concealer with MAC studio fix powder along with the Zoeva 105. 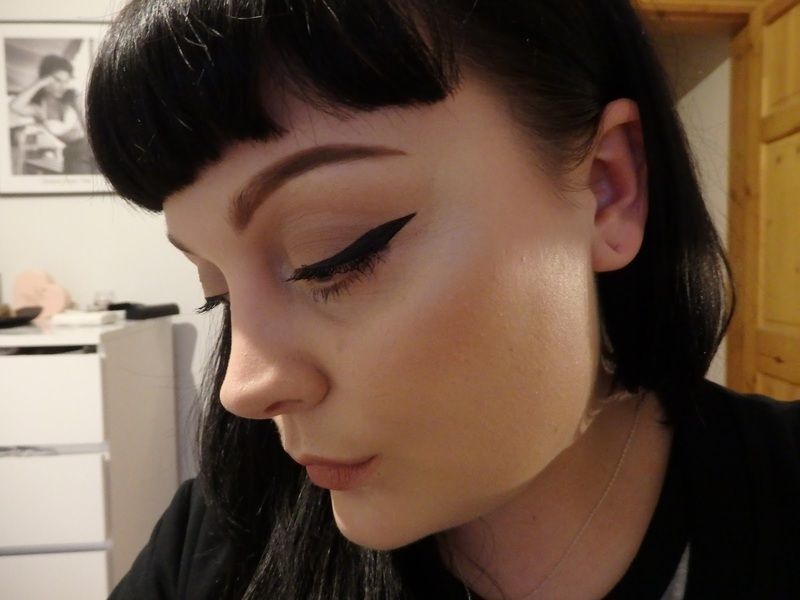 Now brows, I always return to my default Illamasqua brow cake using their angled brush and add some definition and hold with the L'Oreal brow plumper (medium/dark). My eyes I always keep fairly simple and the shadows I seem to go for daily are from the Urban Decay Naked 2 Basics; Stark all over to prime, Frisk in the crease and Skimp as a brow highlight I use MAC 217's for this. Eyeliner is something I really can't be without, I always use the Nyx liquid liner unfortunately all the writing has completely rubbed off but it's the only one they do. Mascara is always the MAC Extended Play Gigablack Lash. This is the only mascara I can use that doesn't give my panda eye. Literally everything else I have tried even waterproof has me looking like a Panda cub by 10am. Cheeks I keep simple day to day no clown contouring. The blush I use kind of does it all for me, the Charlotte Tilbury Cheek to Chic blush in First Love to apply I use the MAC 168- I adore this blush so natural and long wearing, pale girls get on this. To highlight I tap on the the Anastasia BH Illuminator in Starlight using the Zoeva 105 - obviously see my previous post as to why. Finally my everyday lip is either Illamasqua Bare which I am wearing here, other choices are MAC Velvet Teddy, Charlotte Tilbury Penelope Pink or MAC Yash.